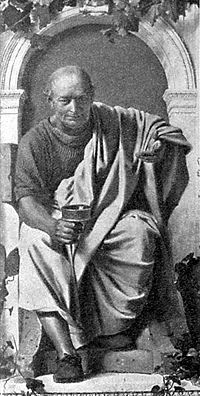 The following is a personality profile of Horace based on his work. Horace is shrewd, opinionated and confident. He is laid-back, he appreciates a relaxed pace in life. He is unstructured as well: he does not make a lot of time for organization in his daily life. But, Horace is also compromising: he is comfortable using every trick in the book to get what he wants.